My mother used to make the best pie crusts! It was one of those things you always counted on and looked forward too. She was a bit odd about it I thought. She would make all of us leave the kitchen saying it was her secret recipe and when we grew up she passed the secret on to us.I always thought that was odd but Mother knows best. Move forward 22 years and it wasn’t until I had my own daughter and we went home a few days before Easter that I discovered her secret. You know how it happens, the baby is crying and you walk to far into the kitchen unintentionally and BAM!!! Dead Silence. I don’t know who was more speechless her or I. There in broad daylight was Frozen Pie Crust (Gasp!) from the Grocery Store still in the wrapper. Still to this day it makes me giggle. Come to think of it I don’t think we ever spoke about it again. He’s just the nicest guy! He is the Master of the Kitchen in my book. Crouton Crackerjack has one of those voices and mannerism that is so easy to follow. No matter what I re-create that he has made I have success. I am proud to say I am now a Pie Crust Maker and all the credit goes to Crouton Crackerjack (Thank you, Sir). If you are intimated by making a pie crust. Please relax. 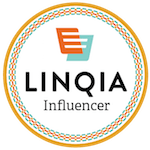 Watch this incredible video and get your confidence back. It really is easier than you think. Pretty impressive right? He’s not only a great teacher but I love how simple he makes it look. I can attest first hand this process works beautifully. If you would like to see more videos from Crouton Crackerjack. You can go HERE and Subscribe. If you liked this video be sure to subscribe to our Channel. A special Thank you to Crouton Crackerjack. I have destroyed more homemade pie crusts than I care to mention. Oh, you have NO idea how much I needed to see this post! I love pies but always end up using a premade pie crust because I am so scared of making one from scratch! You make it look so easy! 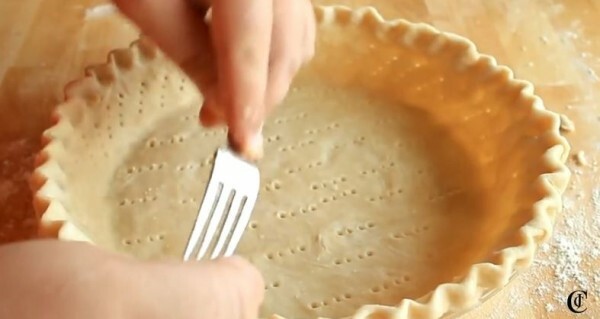 Pie crusts are much harder than people think! It took me many years, cookbooks, and even youtube tutorials to figure it out. This would have been MUCH easier on me. I’ve never even made pie crust before! With such an easy recipe, I could TOTALLY do this! Going to try! Thank you for this! I have always wanted to make a pie crust from scratch but had no idea where to start! I prefer homemade pie crusts over store bought. They are lighter and flakier and of course tastier. Plus, they don’t contain preservatives. Oh my goodness, this is super-cool. I have never made a great crust and would love to. Thanks for sharing. That’s pretty funny! And something I would totally do too 🙂 I’ve always used pre-made crusts. You make it look so easy! I love making my own crust but rarely have the time anymore. I need to make it a priority though, cause there’s nothing like it! 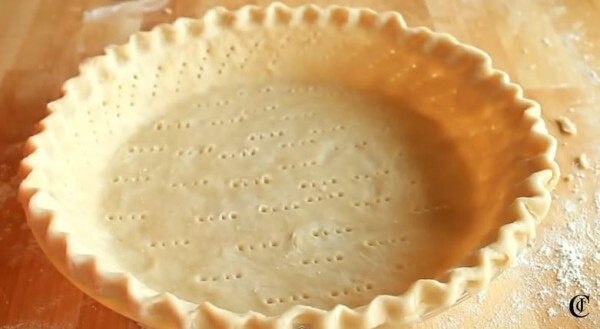 I have yet to make a homemade pie crust like this!! I am always nervous I will mess it up but you make it seem so easy to do! You made that look SO easy! Thank you for sharing!! I may just have to attempt that now! A good pie crust can make or break the pie in my opinion. This is great.